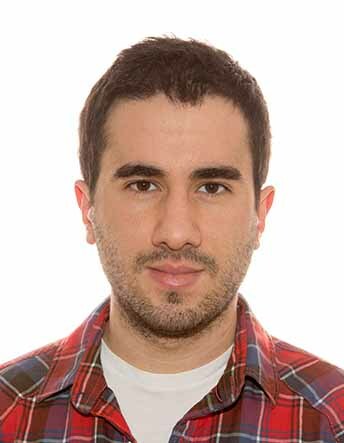 Andrés Martín Barrio graduated in Electronics and Automation Industrial Engeneering (Universidad de Valladolid, UVa), and later he studied a Master in Automation and Robotics (Universidad Politécnica de Madrid, UPM). Nowadays, he is a PhD student in Automation and Robotics, also at UPM. He has worked in industry for a brief period and now, he researches within the Center for Automation and Robotics (CAR). He has also participated in european and international robotic competitions such as euRathlon 2015 or ARGOS Challenge. And his specialization focuses in hyper-redundant and soft robots, computer vision, and virtual and augmented reality systems.